Ceramics with mottled or lustred glazes were popular around the turn of the 1900s as part of the fashionable 'art pottery' style. Several potteries in the south of France made this type of ware. Vase of brown stoneware. 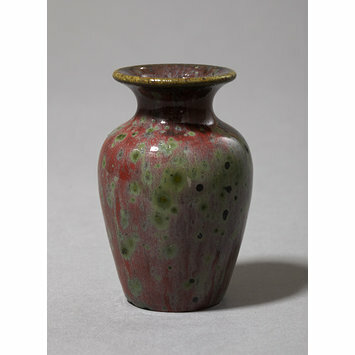 Ovoid body with an out-turned rim, mottled green and crimson lustred glaze. 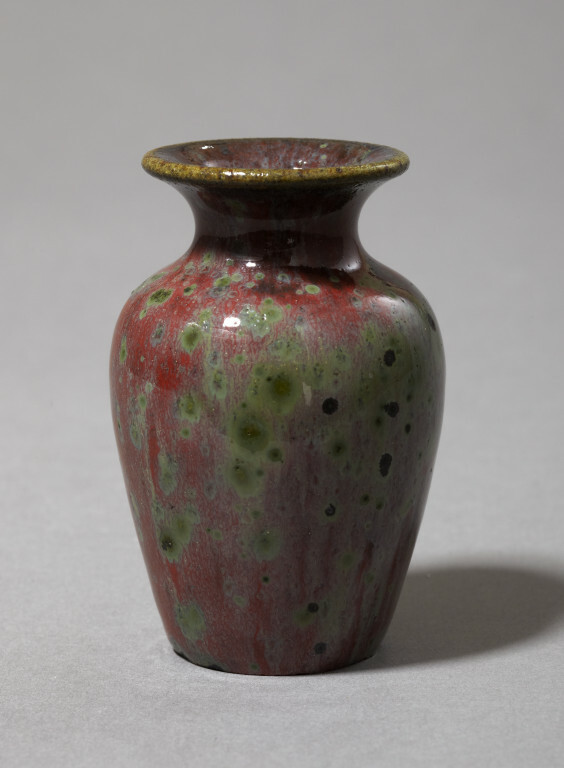 Léon Castel (dates unknown) worked with Marcel Chevalier who founded La Faiencerie du Mont-Chevalier at Cannes in 1888, making earthenwares and stonewares, with mottled and lustred glazes in the style of the more famous Massier family pottery nearby in southern France. Production continued until about 1920.